CASCON 2017, running from November 6-8, has come and gone. 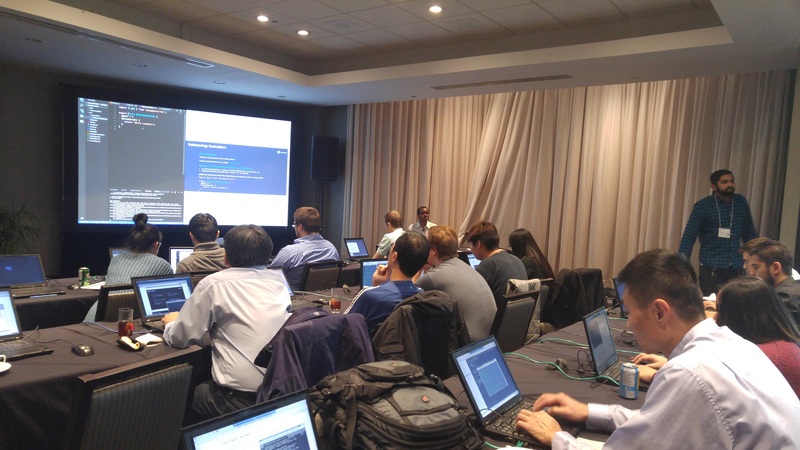 Focusing on data, systems, and society, the event also hosted the first LoopBack 4 workshop, called “API Economy Made Easy with LoopBack 4” If you missed it, you can check it out on GitHub. We’re providing some details below. With the LoopBack 4 Beta release almost ready, this tutorial demonstrates how to create a LoopBack 4 Application - a Diary application that uses the Watson Tone Analyzer to understand your mood. Ready to start? Click here to get the pre-requisites and step-by-step information. With LoopBack 4 almost here, we’re calling for your contribution to develop extensions with us. Find out more in our recent blog post.